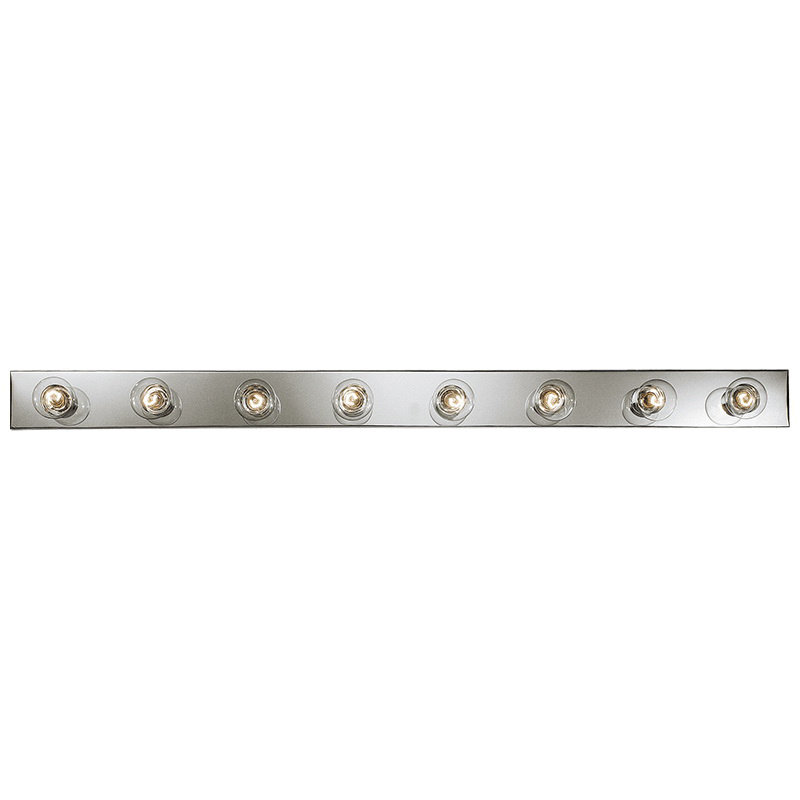 Progress Lighting Broadway Collection Bath and vanity basic broadway lighting strip in polished chrome finish, features steel construction. The lighting strip in gray color, uses eight 60-Watt incandescent lamps. The medium phenolic socket lighting strip has voltage rating of 120-Volts and fixture wattage of 480-Watts. The lighting strip has 6-Inch lead wire for hassle-free installation and mounting strap for outlet box. This wall/up/down mountable lighting strip has a dimension of 60-Inch x 4.25-Inch. Lighting strip is cCSAus listed.